From our law office in Atlantic City, New Jersey, the attorneys at The Levin Firm are fully prepared to help you fight for the justice you deserve after suffering an injury or loss caused by someone else's negligence or wrongdoing. Based in Philadelphia, our law firm has grown to include four total offices throughout Pennsylvania and New Jersey, making us one of the largest personal injury practices in the region and offering our clients convenient access to the highest level of advocacy and support possible for their serious and complex legal challenges. Each of our law firm's founding partners, Gabriel Levin and Brian Zeiger, have extensive trial experience borne from their years of serving as public defenders. The skills and resources they gained in these positions enable them to devise the most effective strategies possible to help you secure the maximum amount of compensation you deserve, and to date, we have recovered millions of dollars in settlements and awards for innocent accident victims and their families. Personable and responsive, we promise to work directly with you throughout all legal proceedings to assert your rights, preserve your entitlements and provide the support you need during your difficult and uncertain time. From this personalized approach, our attorneys hold top ratings on Avvo, and we have received numerous awards and honors for our impeccable professionalism and successful results. 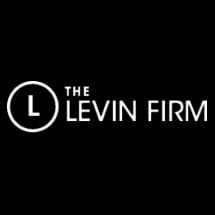 Whether your claim is the result of a motor vehicle accident, a slip-and-fall accident, an act of medical malpractice, domestic violence or any other preventable tragedy, you can find a dedicated legal ally at The Levin Firm. To receive a free evaluation of your claim and discuss your needs in more detail, we invite you to contact our law office or go to our website to schedule an appointment as soon as possible after your incident. Working on a contingency basis, we will not require a fee from you unless we obtain finances on your behalf.